What exactly counts as a “stringed instrument”? The main thing is, it has strings, of course, stretched over the length of the neck of the instrument. There is some kind of sound-box which can be round, square, pear, guitar, or violin shaped. The sound is produced either by plucking or by drawing a bow across the strings. Really, it’s an impressively long history of stringed instruments because it starts as far back as 2,500 B.C. What is likely to be the first stringed instrument was found in Sri Lanka. It consists of a semi-circular gourd, a long neck, two strings, and is played with a bow. This instrument is called a Ravanastron and they are still made and played today. Another important discovery was made in 1929 when archeologists unearthed three lyres in Iraq, believed to date from 2,550 BC. Known as “the golden lyre of Ur”, this instrument was plucked with the hands. The earliest known harps are dated around this time too, and in fact ancient harps have been found to have existed in every land on our planet. Next, we come to the rebab. This dates from the 8th Century. The strings were made of silk and tuned in 5ths, like the tuning of today’s violins. The body was either round or pear-shaped and it was perched on the knee and played with a bow. Some had a spike on the end so it could be balanced either on the lap or on the floor. The 10th Century saw similar styles with various numbers of strings. Some bowed, some plucked. 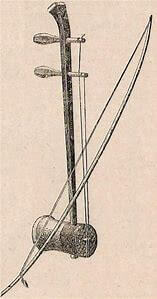 The viol was a recognizable relative of our modern day violin and also played with a bow. As we progress through our history of stringed instruments into the 11th Century the lyre developed into what was called the “fiddle”. 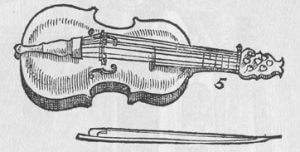 In medieval times, the rebec was another violin-like instrument with between one and five strings – three being the most common. It was popular for a very long time. The citole is another instrument which was very popular in the 13th Century and very similar to the modern day guitar. In the 14th Century the Renaissance vielle, or fiddle, shows up with “C” shaped sound holes and five strings. 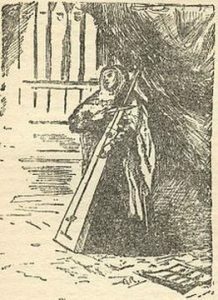 Also, the lute was a very popular plucking instrument of the era and was even used to accompany singers. It’s worth mentioning the tromba marina – a long, thin, triangular shaped stringed instrument that looks something between a cello and a bass. It generally had one string and was played with a bow. The history of stringed instruments in Europe guides us to Italy and introduces the lyra or viola da braccio. “Braccio” means arm, and the instrument was played held against the arm. Soon after, we see the introduction of the viola da gamba. “Gamba” means leg and the instrument was played braced between the thighs, like today’s cello. The first cello that is closest to today’s cello turns up around 1550. In 1644 Antonio Stradivari was born in Cremona, Italy. He is said to have learned his craft from Andrea Amati’s son who lived from 1596 to 1684 in the same town. Both these craftsmen were very important to the history of stringed instruments in Europe. 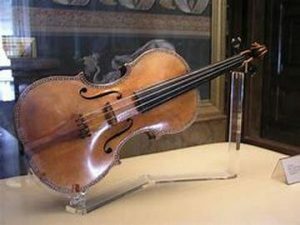 Stradivari created his first violin at the age of 22 and dedicated his entire life to crafting the most beautiful violins he could. He created over 1,100 stringed instruments in his life. He also made cellos, guitars, lutes, mandolins, and changed the shape of the bow into the style we use today. The popularity of Baroque music brings stringed instruments into more familiar territory as they start to be used in orchestras as we know them today: a family of four – the highest notes from the violin, followed by the viola, then the cello and finally, the lowest sounding orchestral stringed instrument: the bass, also known as the contrabass or double bass, which was only gradually accepted into the orchestra after years of arguments about how it should be tuned. It is different from the other three instruments of the string family in that it is tuned to perfect fourths, unlike the others which are tuned to perfect fifths. In the 19th Century, someone designed and built an Octobass which was so huge it made it incredibly difficult to transport, let alone play. It sounded one octave lower than the double bass. It never became popular! We must not forget about the harp which is part of a modern symphony orchestra. It usually has 47 strings which are plucked with the fingers, and seven pedals, each with three positions. 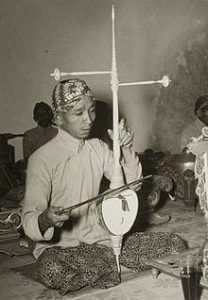 It is not considered part of the string family, however, but a unique instrument in its own right. The piano, although it has strings – 230 of them actually – is classified as a percussion instrument. This is because the strings are hit with hammers like a percussion instrument – such as the timpani or xylophone. Also, the piano is not part of a standard orchestra. Of course, there are piano concertos and pieces of music that require a piano, but the piano will be an addition to the standard set-up of an orchestra. 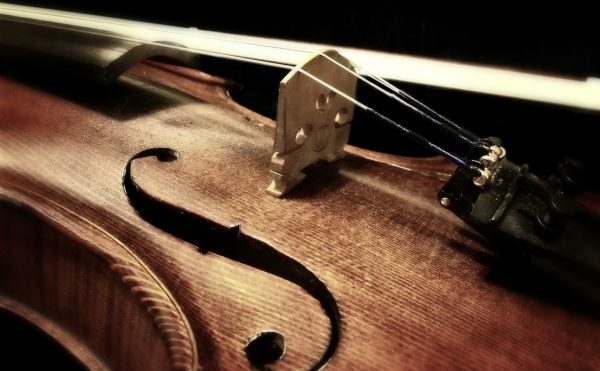 Throughout the history of stringed instruments, the strings have been made out of the animal gut. But early in the 20th century, string technology caught up and strings began to be made of steel, at first solid, and then roped, which allowed for more movement and resonance. Nylon strings became available at more affordable prices and some say the sound is more in keeping with gut strings than steel, which can sound harsher. These advances also led to more accurate and longer lasting tuning. There are many other stringed instruments that are not part of the orchestra. Some of these include the guitar, lute, mandolin, harpsichord, banjo, sitar, to name a few. There is also a huge range of various stringed instruments from around the world that have great similarities and share a similar history, but we’ll talk about that at a later time.